Obituary for Connie K. Young | Marcus D. Brown Funeral Home, Inc.
Mrs. Connie Kibler Young, 92, of 304 Catawba Circle in Seneca, SC, passed away on Monday, July 2, 2018 at Oconee Memorial Hospital. She is survived by her husband, Rev. Willie B. Young; one son, Herman A. Evans II; three stepchildren, Liznon Chandler, Willie Jr. Young, and Kent Young; three grandchildren, Dawnn N. Dukes, Sheryl R. Clarke, and Angela M. Johnson; and one great-grandchild, Christian H. Blassingame. 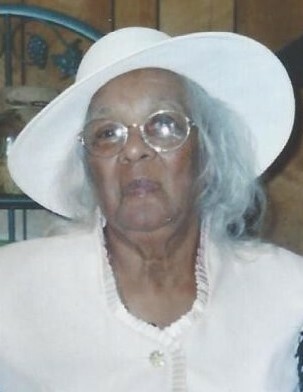 She was preceded in death by her parents, Laylon and Myrtle Elizabeth Smith Kibler; one stepson, Roscoe Young; one sister, Vivian Brooks; and three brothers, Roy Kibler, Laylon Kibler, Jr., and Boylese Kibler. The funeral service will be held at 3:00 p.m. on Sunday, July 8, 2018 at the Seneca Family Life Center. The interment will follow at Mt. Nebo Baptist Church. The family will receive friends one hour before the funeral service. The family is at the home, 304 Catawba Circle Seneca, SC 29678. View the service details tab for directions and public viewing times.